Fame mania had well and truly gripped the nation by 1984, and the first episode of the U.S. TV series was broadcast on BBC1 on June 17th 1982. Only the first four series were shown on the BBC as viewers began to tire of the series by 1985. Eight Buttons annuals were produced between 1983 and 1990, and each edition featured an array of BBC childrens TV characters. On this cover you can see the Flumps, Postman Pat, Humpty, Big Ted, Little Ted and Jemima from Play School, Noah and Nelly and a few other characters whose names have escaped me! 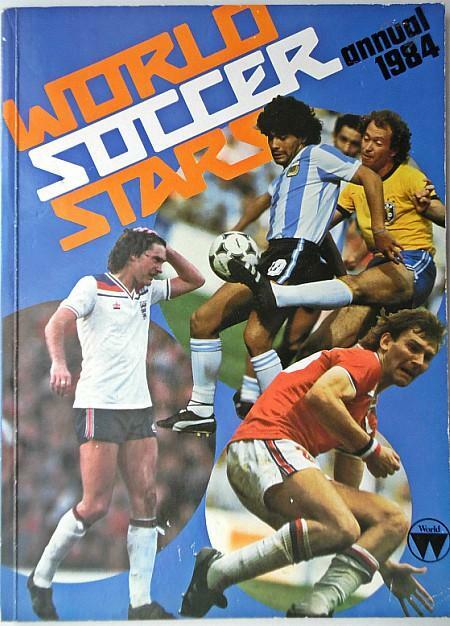 On the cover here you can see 80s football stars Peter Shilton, Ray Wilkins and Ian Rush. Shoot! magazine was first published in 1969 and was a weekly throughout the 70s, 80s and 90s before becoming a monthly in 2001. In 1984, from June 30th to July 28th 1984, no issues were produced due to industrial action. There was also a six week period of industrial action in 1980. 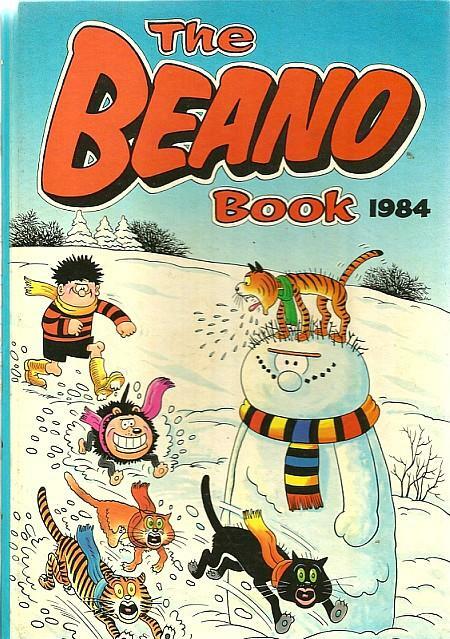 Well, who hasn't heard of the Beano? On this cover we can see two of the comic's most popular characters Dennis the Menace and Gnasher. The snowy cover reminds me of the bitterly cold winters we used to get back then, although even in the 80s it rarely snowed at Christmas. The very first comic was published in 1938 by D. C. Thomson and is still being published, would you believe, and the current editor is Craig Graham. 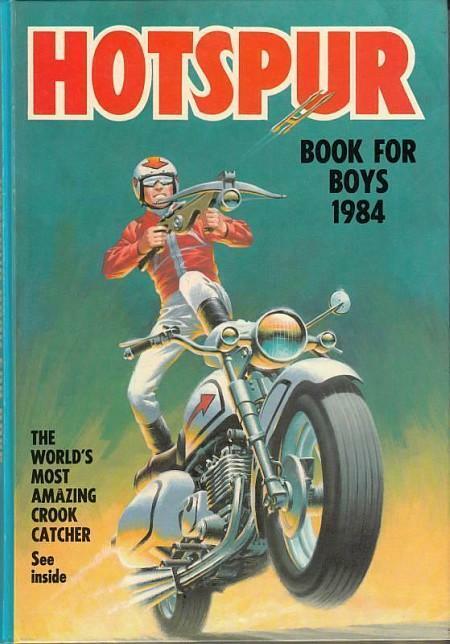 The Hotspur was first published in 1933 as a story paper for boys by D. C. Thomson. 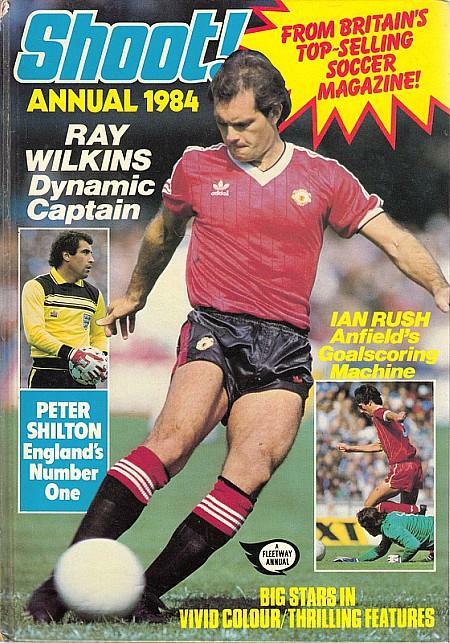 It was relaunched as a comic in 1959, with the last issue published in 1981 when it was incorporated into The Victor. 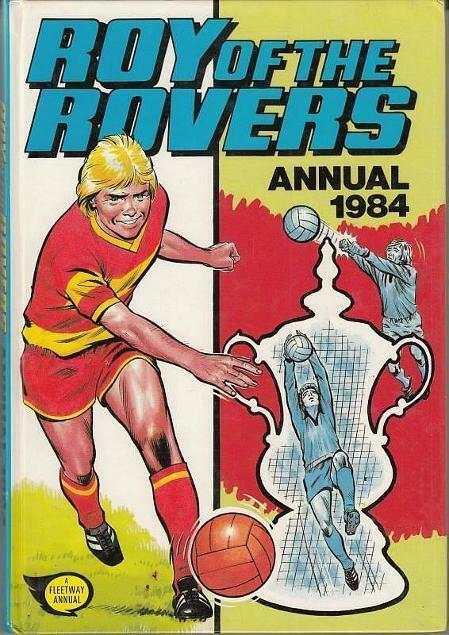 Hotspur annuals were still published throughout the 1980s, with the last one being published in 1992. Comic strips included Dozy Danny, Jonny Jett, Coral Island, King Cobra, Spring Heeled Jack, Union Jack Jackson and X-Bow. Do you remember this character? 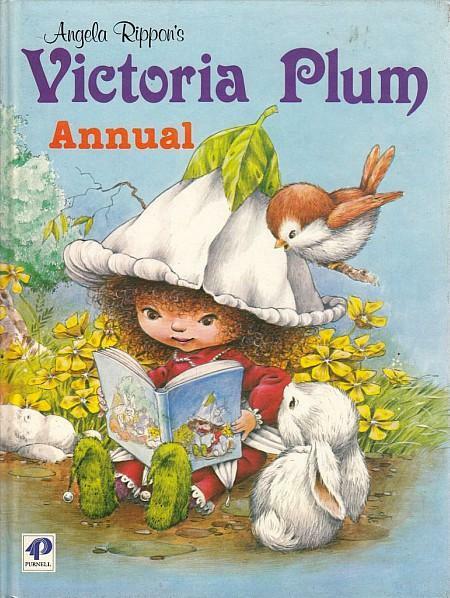 Angela Rippon wrote a series of books about a young tree fairy called Victoria Plum. There is actually very little info about the books and annuals on the internet, with a search bringing up a bathroom company and information about the fruit. 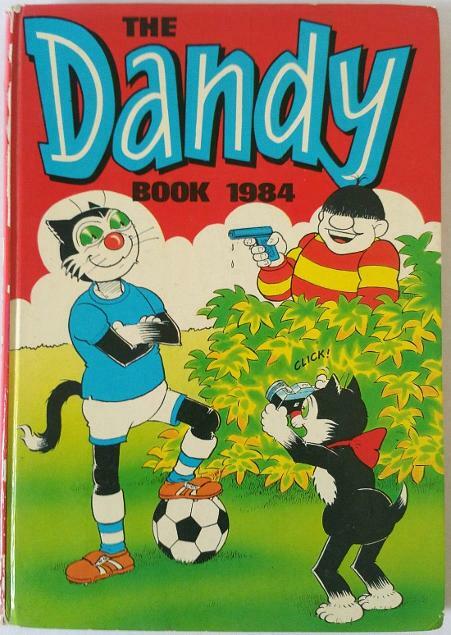 However, I did discover that quite a number of annuals were produced, along with a doll, story books and colouring books during the first half of the 80s. 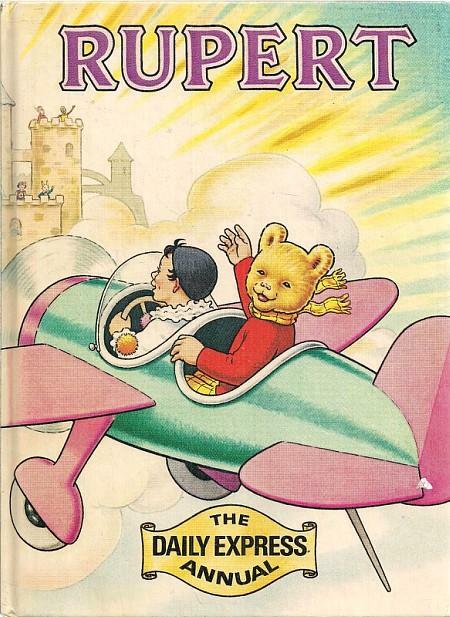 Never venturing out without his matching yellow check trousers and scarf and red jumper, Rupert bear was created by the English artist Mary Tourtel, and made his first appearance in the Daily Express on Nov 8th 1920. He actually started out as a brown bear, but was changed to white to save on printing costs. 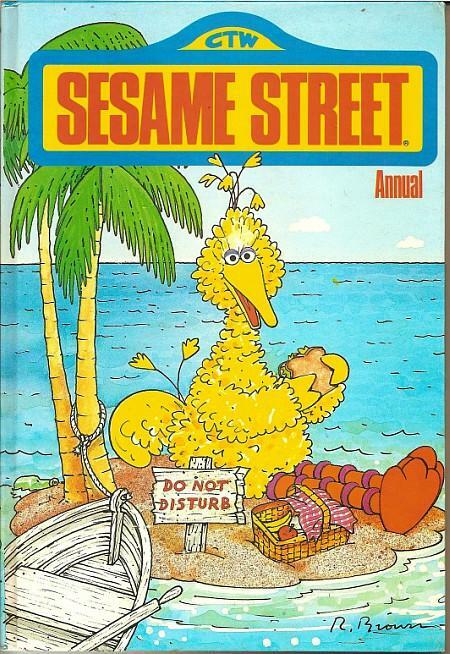 However, he remained brown on the annual covers. 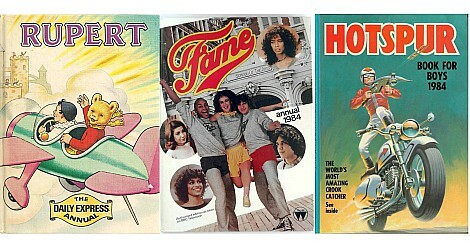 77 annuals were produced every year from 1936 to 2012. I have been unable to find any info about this rare annual, other than it cost £2.50. If anyone has any info then please do let us know. There have been an incredible 47 seasons of Sesame Street which was first broadcast in 1969. It is still going strong and had become an American institution by the mid-70s. 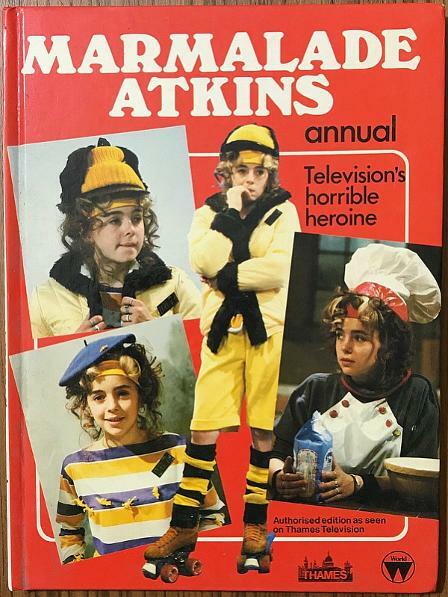 The series was also popular here in the UK. 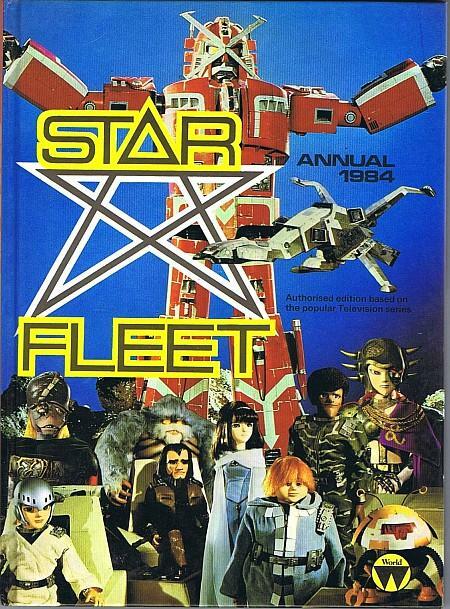 Known as X-Bomber elsewhere, the Japanese TV import Star Fleet was first broadcast on Saturday October 23rd 1982 and was dubbed in English. This one and only annual was rather poorly illustrated. Jigsaw puzzles were also made available and there was also a comic strip in Look-In magazine.